Exclusive attractive and handy Model with Energy Saving 11W CFL Lamp and mirror finish imported reflector to provide ultra-bright illumination. Fuly automatic operation and charging circuits. A portable rugged, Light which can provide bright white light & can lost long period against single charging. 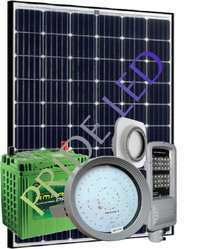 It can be charged from Solar as well as AC line power. If you are looking for premium lightings, turn to FINETECH SYSTEMS. Since 1995, FINETECH SYSTEMS has been manufacturing premium emergency lighting products suppling to clients throughout india and asian countries. We have made a name ourselves as a reputable and reliable manufacturer in the industry. 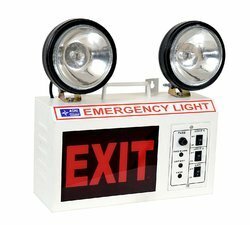 We offer an array of Emergency Light in different models.